A House of Mercy, or Magdalen Home, for 'fallen' girls and women, was established in 1868 on Toldish Hall Road, Great Maplestead. It provided accommodation for 50 girls and women aged from 15 to 24 or, in later years, up to the age of 30. The home was originally under the control of the Diocese of Rochester but later fell under the Diocese of St Alban's. It was also a member of the Church Penitentiary Association. The home was run by the Sisters of the Name of Jesus until 1891, after which the Sisters of St John the Baptist, Clewer, took on the role. The location of the home is shown on the 1897 map below. House of Mercy site, Great Maplestead, c.1897. Residents at the home were required to be sound in mind and body, and to stay for a period of two years. They were trained in needlework and laundry work. In 1943, the Sisters of Clewer withdrew from their involvement in the running of the home. The Bishop of Colchester, who was keen for it to continue in operation, requested the Waifs and Strays Society to take on the home. After some refurbishment of the premises, the home was re-opened as a Waifs and Strays establishment by the Bishop of Chelmsford on October 19th, 1944, when it was dedicated as St Mary's. Part of the home was then used for training older girls in housecraft, and part for toddlers and babies, with nursery nurses also being trained at the home. 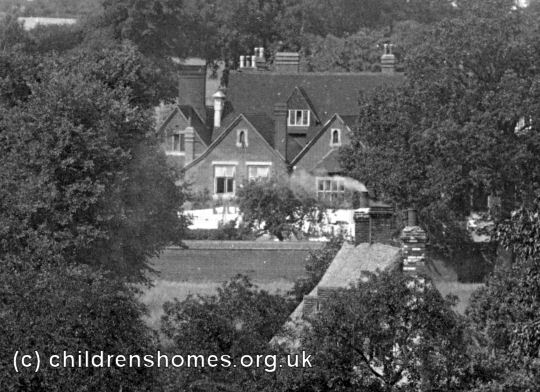 In 1944, the girls from St Mary's Home at Frant in Sussex were briefly evacuated to the Great Maplestead because of the danger from German V2 flying bombs. In 1953, the home became a dedicated unit for babies and children up to the age of five. It finally closed in 1957 as the large building was now felt to be unsuitable for its purpose. The St Mary's buildings no longer survive. The Berkshire Record Office, 9 Coley Avenue, Reading, Berkshire RG1 6AF. Holdings include: Admission registers (1924-43); Annual reports (1882-1943); Statutes, constitutions etc. (1866-c.1936).